Alibaba’s US$2 billion commitment to eCommerce in Southeast Asia is a big indication that the digital economy is set to thrive and Malaysia is definitely not left out. This is evident as Alibaba has been working hand in hand with the Malaysian government to set up the region’s first DFTZ and a strategic logistics hub in Sepang that serves both for Lazada & SMEs. 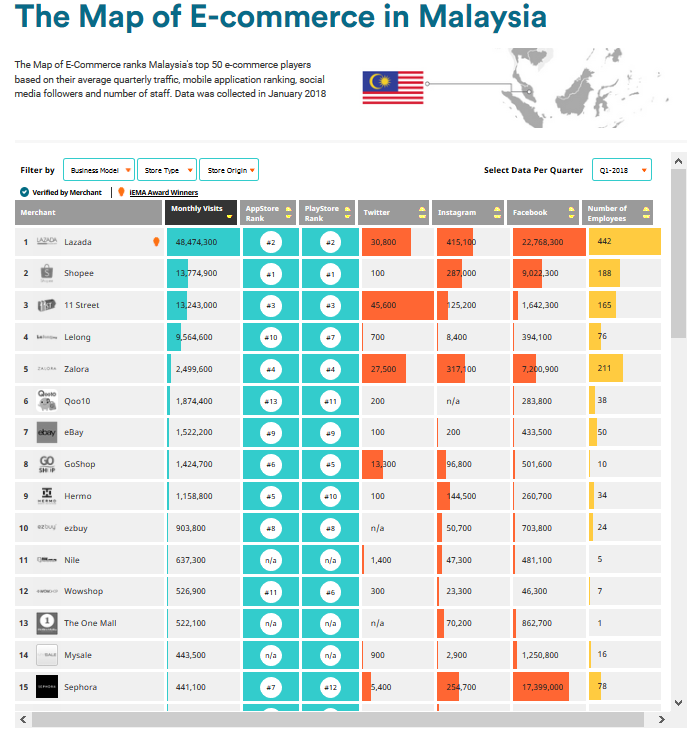 iPrice undertook this study to assess the key players in Malaysia and unveil interesting insights that might provide great content to follow up for your next story on eCommerce.